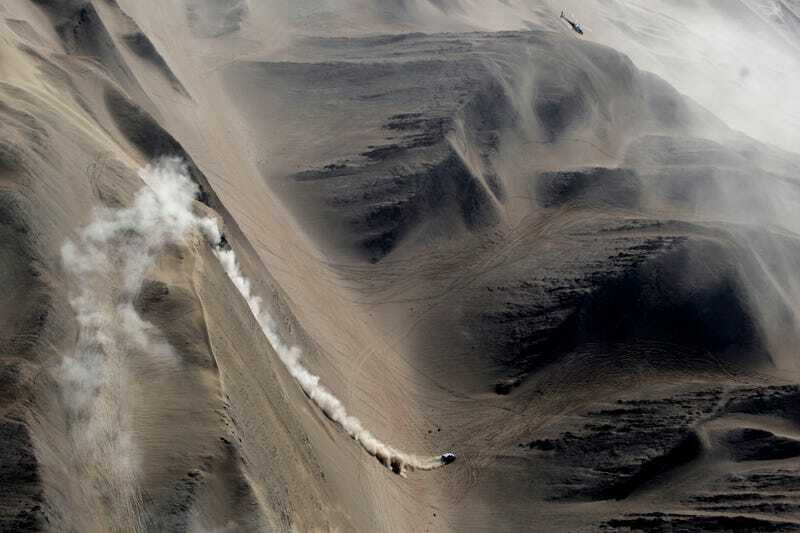 This photo is five years old, but it's still possibly the most amazing picture I've seen of the Dakar Rally. Driver Stephane Peterhansel was negotiating the dunes of Chile in a BMW when this was taken in 2010. Our own Andrew Collins is chasing the Dakar this year. Keep an eye out for his upcoming coverage, once he gets enough internet to file a story.